Namaste! In this article I am gonna guide you how you can fix above mentioned error in just few minutes. GPEdit stands for Group Policy Editor which is an important feature of Microsoft Windows. You can make important changes in your windows settings using Group Policy Editor. If you are a geek you often required this feature to make required changes but sometimes you might face an error "Windows cannot find 'GPEDIT.MSC'. Make sure you typed the name correctly, and then try again." Therefor id you are facing this error, don't worry just follow below mentioned steps and fix this error permanently. Why this error occurs in my system? 'Windows cannot find gpedit.msc. Make sure you typed the name correctly, and then try again.' error occurs if you are using basic, starter or home premium editions of Windows which doesn't come up with support for Group Policy Editor. 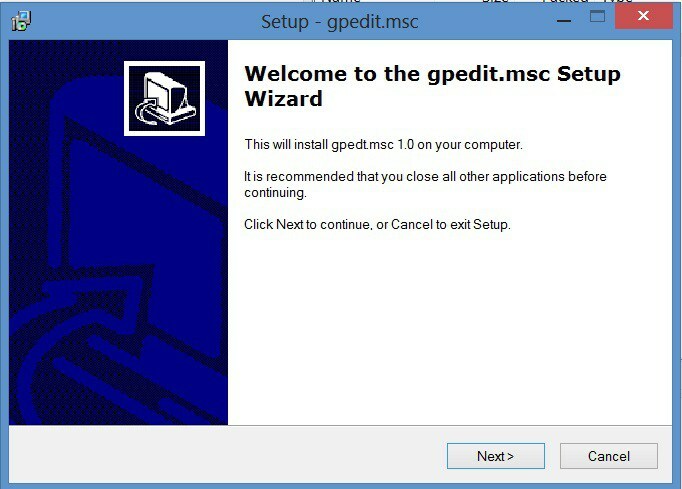 GPEdit feature is available only in Professional, Enterprise and Ultimate Editions of Windows. How to fix this error? "Windows cannot find gpedit.msc"
You can resolve this error very easily by enabling Group Policy Editor feature. For that you need to use third party Group Policy Editor installer. You can download group policy editor installer from below link. How To Install Group Policy Editor ? If you are using 64 Bit version of Windows then follow below steps to enable Group Policy Editor feature in your system.